BookBub Promotion - A Slip In Time - FREE! 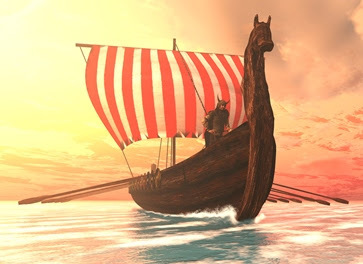 January is “Viking” month at “Historical Romance Review with Regan Walker” (http://reganromancereview.blogspot.com/ ). Please drop in for a visit, Tuesday, January 23rd when I will be the guest author for the day. If you haven’t discovered Regan or her amazing blog, you are in for a treat. Regan is an award-winning author of Regency, Georgian, and Medieval novels. Each month she dedicates her blog to a different theme such as Scots & Highlanders, Pirates & Privateers, American West, Victorian, etc. 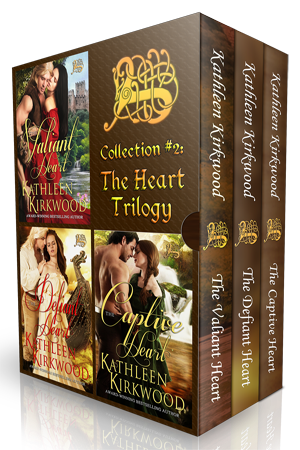 For the occasion, I’ve penned an article on “Viking Age Iceland – Discovery & First Settlements” and will be giving away a free eBook copy of my HEART Trilogy (Collection #2) containing all three of my Viking related novels: THE VALIANT HEART, THE DEFIANT, HEART and THE CAPTIVE HEART. As many of you know, my years in Iceland in the ‘70s inspired my interest in the Norsemen and led to writing the HEART trilogy. For articles on life as a Navy wife in the “Land of Ice and Fire,” recipes and more please visit the Author Confidential page of my website at: www.kathleenkirkwoodhistoricals.com.